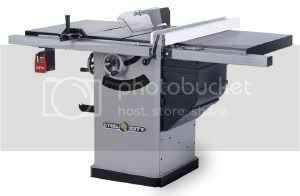 The Tool Crib – Top 10 Hybrid Table Saws: Craftsman vs. Grizzly vs. Steel City vs. Jet and MORE! 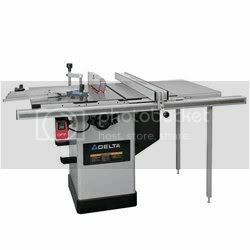 Hybrid table saws remain a popular category with woodworkers seeking more power and versatility than contractor and benchtop table saws. 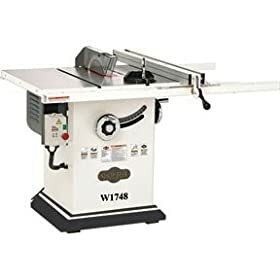 To find the top 10 we gathered hybrid table saw tests, reviews and recommendations of professionals and hobbyists from the leading woodworking publications and forums. Update: See the New Ridgid R4511 Granite Top Hybrid Table Saw. It’s liable to rank highly on this list once we get more information about it! If you enjoy arguing on the internet you might appreciate the overly long semantical warfare of this WoodNet thread debating the difference (or lack thereof…) between cabinet saws and hybrids. It’s occasionally funny if you appreciate “zingers” and open hostility low-end cabinet saws vs. “high end” hybrids. Dumb question… what the heck is a “hybrid”? The Craftsman 22124 got 24 forum purchase recommendations, more than any other hybrid saw out there. I didn’t count them all, but I bet there were TWICE that many recommendations that woodworkers get a cabinet saw instead of a hybrid. 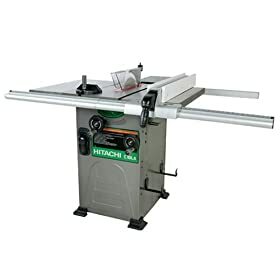 Over and over (and over and over and over) woodworkers recommend to each other on forums that they spring for a low-end or used cabinet saw instead of a hybrid. This is not always an option for many woodworkers due to space, electric, or cash restrictions. 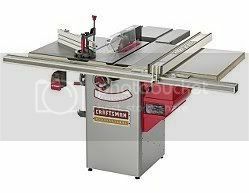 That said, if you’ve got upwards of $1,000 to drop you should at least consider the Grizzly 1023 (the #1 cheap cabinet saw recommendation by woodworking forum members). Without further ado we proudly present the top 10 hybrid saws. Grizzly G0478 Cab Saw, anyone have one? is this Grizzly hybrid a quality saw? 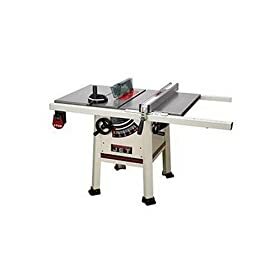 Anyone have the Steel City table saw 35670? 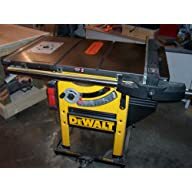 The “forum recommendations” mentioned above are any time a forum member makes a purchase recommendation (“I have/had this saw and love/d it”) for a given saw. In the case of the Woodtek, which got great reviews from Fine Woodworking, there weren’t any forum/user reviews available so we ranked it lower than other more tried and true favorites. 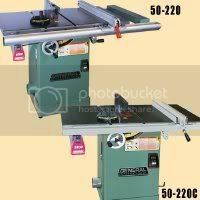 In cases where a saw had multiple thumbs up from magazines we ranked these above saws more popular in the forums. We tend to skew towards forum recommendations as a key indicator for making our recommendations though there are certainly issues of objectivity. That said, magazine reviews are far from objective too. ALWAYS try a saw before you buy to make sure it fits your needs and expectations. If you can’t try it, don’t buy it. 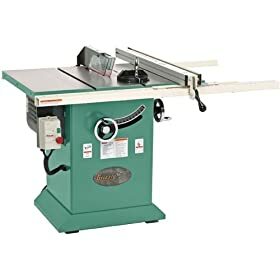 New Tablesaw Purchase – Hybrid or Cabinet? Anybody got a Hybrid Table Saw?